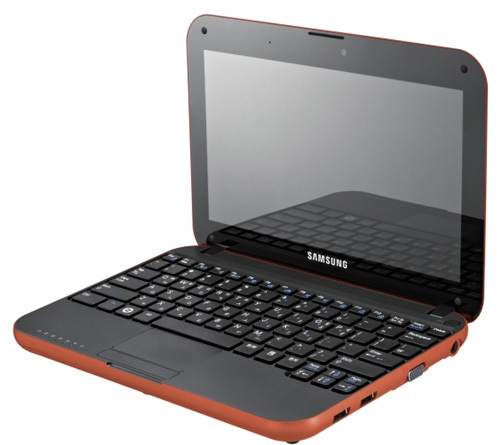 Samsung Electronics has released its premium mini notebook pc N310 in Korea. It is powered by it is powered by Intel Atom processor with 1GB of RAM and 160GB HDD, supporting 802.11bg wireless LAN, HSDPA and WiBRO and comes with 10.1-inch LCD screen , a 1.3M webcam, three USB ports, and 3-in-1 multi memory slot. The N310 weighs only 1.23kg together with battery pack. Oh yeah, its battery offers you up to 5 hours of working. 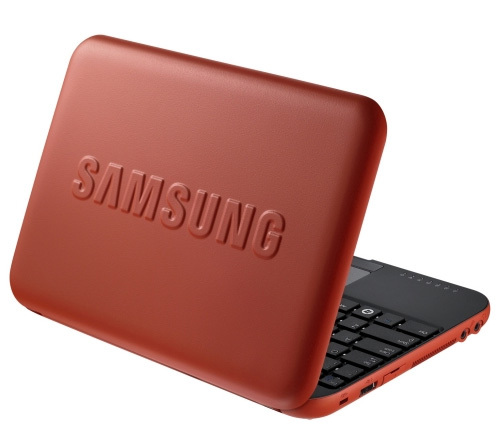 The Samsung N310 mini lappie is available in Turkey Blue and Red Orange in Korea at a suggested price between 900,000(KRW) and 1,000,000(KRW). More pictures after the break.